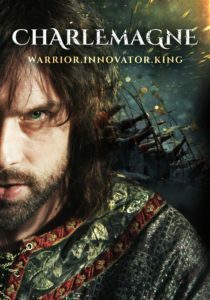 This elaborate hybrid feature film / documentary series production recounts the dramatic, violent, bawdy and powerful life of Emperor Charlemagne (Karl der Grosse). Also known as Charles the Great, Charlemagne carved out an empire that laid out the map for modern Europe. The film details his life as a political strategist, a passionate lover, a man that conquered most of Europe and a cultural visionary. Using the very latest in modern research, this impressive film series features detailed battle reenactments, extravagant costuming along with interviews from world-renowned experts that truly bring the scintillating warrior-king to life. With its top-class blending of feature film and documentary, Charlemagne promises a fascinating journey to the roots of European culture. 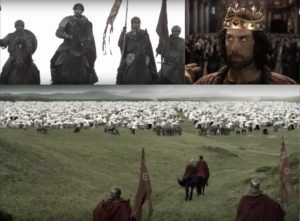 Originally broadcast as a German mini-series, this big, seven-figure-budget production shines as a sweeping epic about Europe’s most important Medieval king, perfect for global history curricula. The international cast includes Alexander Wüst (Tessa – Leben für die Liebe), Peter Matic (Measuring the World), Alma Hasun (Woman in Gold), Thomas Morris (Angels and Demons) and Lucas Englander (Genius).